In 1993 a group of HELP (Haddington and East Lothian Pacemakers) members Ray Harris, Brian Tait and others organised the first Haddington Sprint Triathlon. Sue Broadway – sports development officer for East Lothian Council played a major role in collecting paper entries and fees, organising registration on the day, and sending participants their results after. From there the East Lothian Triathlon Club was formed. The Club’s main training feature has always been the weekly swim session at the Aubigny Centre. Swim coaches Mick Starr, Gavin Hay, Chris Dixon, Christine Howson and more recently Craig Goldie and Toby Durant have given encouragement and guidance to improve swim speed and technique. Alan Dow and later Craig Goldie provided turbo sessions and Tom Harley and now Toby Durant provide run sessions. There were also duathlon training sessions and weekends away in Aberfeldy led by Brian Lindsay and Neil Doggart. 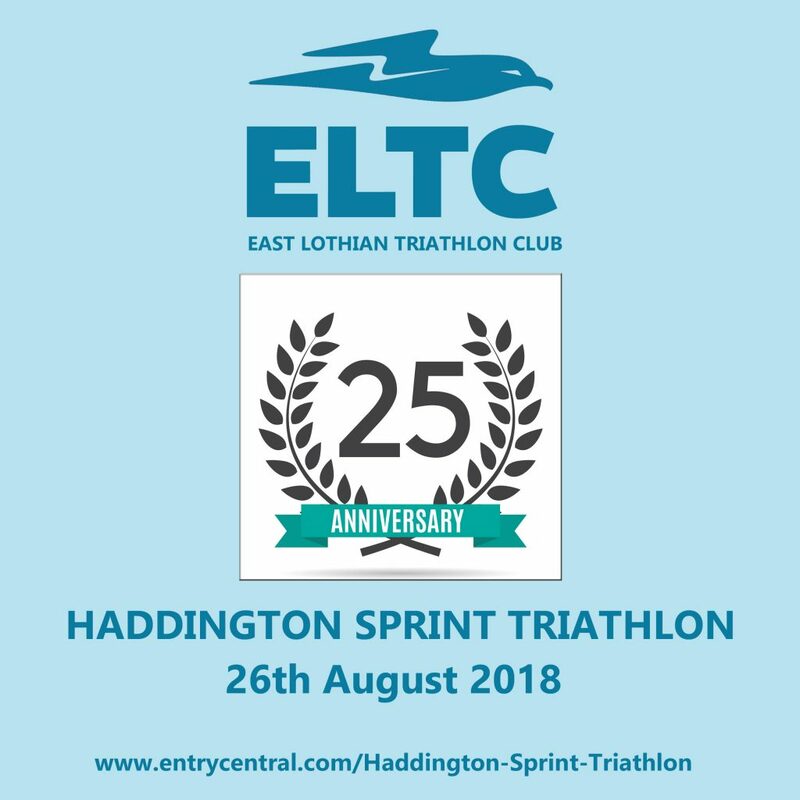 Since the first Haddington Sprint Triathlon in 1993 ELTC has organised nearly 50 triathlons – no mean feat for such a small club. The Dunbar Junior Triathlon ran from 2000 – 2004– East Lothian’s only junior full triathlon. This had the unusual format of having two run sections to accommodate the cycle route being within Winterfield Park some 300 metres away from Dunbar swimming pool. North Berwick Micro Triathlon for children under the age of 5 years old in 2004. The children basically used anything on wheels to go around the playground a few times, then ran the route and jumped in the shallow end of the pool for a swim/play. The North Berwick Novice Triathlon has run since 2000. This has become a community event with many local residents helping to keep competitors safe along the route. 2014 marked the Foxlake Junior Woodland Triathlon for children aged between 8 – 15 years old. 2018 marked the Haddington Sprint Triathlon’s 25th year. The only deviation to this popular event was the addition of the Haddington Standard Triathlon in 2014 to celebrate the club’s 21st birthday. ELTC can be proud of its members’ achievements, not least as it came 4th in Triathlon Scotland Legend Ranking in the category Adult Small Club this year (2018). As well as encouraging many to enjoy and compete in the sport of Triathlon a number of past and present members have done well at local, national and internation events. Linda Malcolm represented Great Britain at the World Age Group Championships in Cancun, Mexico in 2002. Lynn Dale also represented Great Britain at the World Age Group Championships in Cancun, Mexico in 2002. Shona Bathgate also completed her first triathlon in North Berwick in 2005. She qualified for the Ironman European Championships in Weymouth in 2015 and came 1st in her age group and thus European Age Group Champion! Shona has continued to compete and in 2018 came first in the supervet age category of the Triathlon Scotland Legends Ranking Series for Sprint Distance. Craig Goldie completed his first triathlon in North Berwick in 2007. From there he went on to represent Great Britain at the European standard distance Age Group Championships in Turkey in 2013 and World Age Group Championships in Chicago in 2015. He was again selected to represent Great Britain for the World Age Group Championships in 2017 and won the Scottish Borders series in the same year. Craig has gained his coaching qualifications and now coaches club members in swim, transition and general triathlon techniques. James Addie completed his first triathlon in North Berwick in 2013. From there he went on to represent Great Britain in 2017 at the European sprint distance Age Group Championships in Germany. He did well in a number of events in 2018 with the result that he came 3rd male in the Triathlon Scotland Legend Ranking Series for Standard Distance. Tim Griffin raced for GB in the European sprint distance Age Group Championships in Glasgow in 2018. Steven Darcy qualified for the European sprint distance Age Group Championships held in 2017. Why not kick start your 2019 triathlon training by coming along to one of our training sessions. Tue 6:30 Foxlake- open water swim that is open to the general public (£5 – pay Foxlake). April till September. Our Facebook page will be kept update of any changes to the above. Club membership fee for 2019 is £15-20 (TBC) which you pay when you come along to a club session. You can come come along to a couple of sessions first before joining. Some great photos of the 2018 event taken by Bob Marshall on the following link. and an army of marshals from Haddington Cycle Club. Thanks to Thistly Cross Cider for providing a lovely selection of ciders for prizes and Tesco for providing our competitors and marshals with bananas and water. Thanks also to East lothian Council for their support in helping us organise a safe event and for providing traffic management and for the assistance of all the staff at the Aubigny Sports Centre. A great day in spite of the weather ! This year is the 25th Anniversary Haddington Sprint Triathlon! 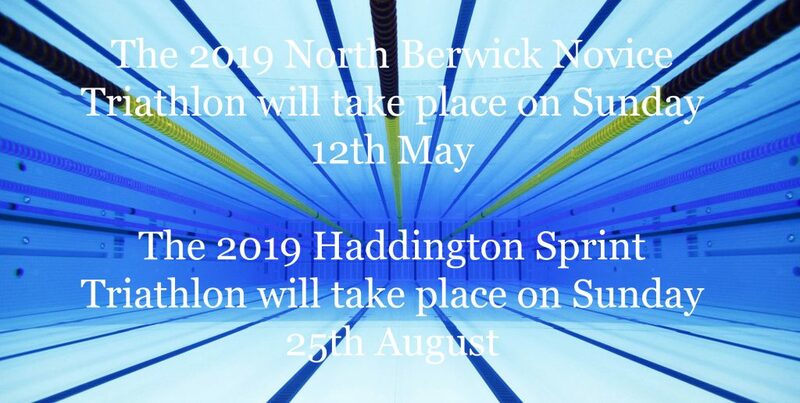 The 2018 Haddington sprint Triathlon is open for entries!